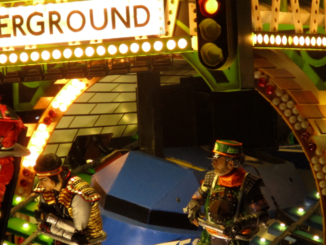 Taunton Carnival is set to get off to a thunderous start tomorrow night with a cavalcade of Harley Davidson motorcycles leaving Tangier Way at 19:00. The Bristol-based Batala Samba Band will be at the head of the annual illuminated procession following on. Ahead of them will be the official sellers for Taunton Carnival’s merchandise. 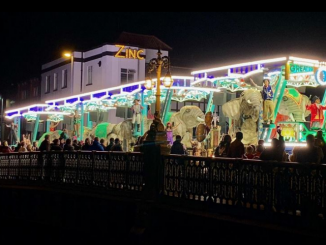 Spectators are encouraged to buy from them and not other sellers who don’t give any of their proceeds to Taunton Carnival or to local charities. More than 80 items will wend their way along the route from Tangier Way and Wood Street out into Bridge Street over The Bridge and up North Street, then along fore Street and East Street before heading down over East Reach to the finish at Chritchard Way. Taunton Carnival’s main charity is Stand Against Violence who are celebrating their tenth year. Elsa Whitworth was chosen earlier this year as the 2016 Taunton Carnival Princess with Charlotte McGurk and Mya Goodman selected as runners-up. 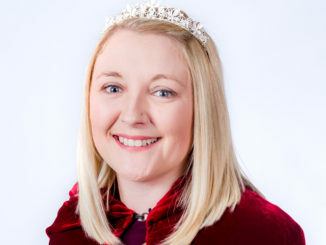 Carley Chapman will stay on as Miss Taunton, Carnival Queen. Through traffic is directed away from the centre to keep it moving and to keep a clear access to Musgrove Park Hospital. Two diversions will keep traffic moving around the outside, from the east along Bridgwater Road, Ilminster Road and Chestnut Drive; and from the west using Park Street, The Crescent, Mary Street, South Road and Chestnut Drive or Silk Mills Road, Greenway Road and Priorswood Road. 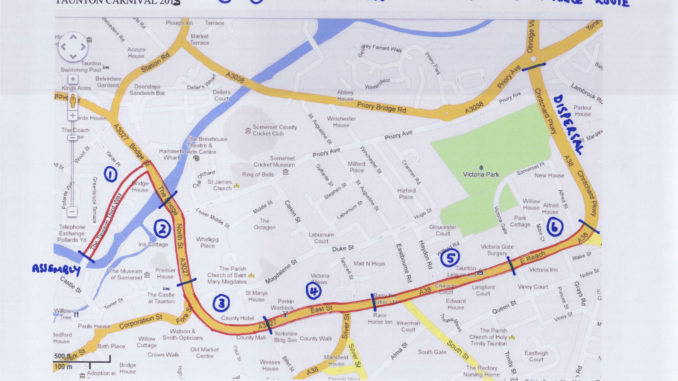 No vehicles will be able to leave Wood Street, Yarde Place, Haydon Road or Victoria Gate on to the route whilst the Procession is taking place, between 18:30 and around 21:00. From 10:00 at Taunton’s Castle Green and Woodland Gardens will be historic vehicle and motorcycle displays, musical performances from the Tone Valley Jazz Band and Stevie Nichol Brown, children’s inflatables, face painting and other stalls. An Animal Mask Competition will also be taking place and children will have the chance to make masks in the Museum of Somerset from 10:30. All equipment will be provided and entrants will gather together at 14:00 when the Mayor of Taunton Deane will select the winning masks. Look out for Apple FM. We’ll be with the Buses of Somerset onboard their open-top bus and visit our website and social media pages to see photos from the night.